“No man steps into the same river twice, for it is not the same river and he is not the same man”. Heraclitus was known as “the weeping philosopher” and spoke on the only true certainty of life being the consistency of change. Now can we ever really be sure he was specifically talking about Anathema? Maybe not, but I think there is a good chance he was a bit clairvoyant and was speaking of the nature of this band’s discography. The band have been through many distinct eras, from being a prominent U.K doom metal band to gracing the cover of any Prog Rock publication that worth it’s weight in nerds. 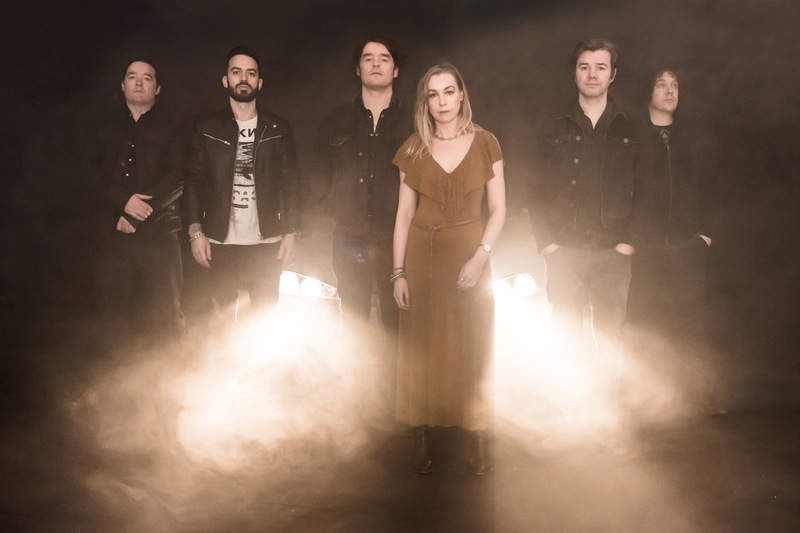 Anathema now return with The Optimist and have once again taken a step in a new and equally moving direction. The Optimist is a conceptual album revolving around the character from the band’s 2001 release A Fine Day To Exit. The album opens with the track “32.63N 117.14W, which are the exact coordinates we left our main character. This intro reintroduces us to our main character as he flips through stations on his car radio, at one point skimming past a wonderful little Anathema Easter egg, a weathered recording of a soldier singing the marching theme “we’re here because we’re here”. He lands on an pulsating electronic drum beat that feels to pick up where Distant Satellites left off. This rhythm segues into the album and from there we find the Anathema of 2017. The fundamentals of the album are distinctly Anathema. The songs are emotional charged and connect to the listener on a vulnerably human level. The musicality is lush, purposeful and takes its time to build up and guide us to to a crescendo that we weren’t even aware that we were headed toward. In this way I believe Anathema truly grasps the human experience, never finding ourselves exactly where we expected to. The album does however withdraw from what some may call more poppy elements. The songs are not as instantly accessible as the previous few albums. In many ways this creates a darker and less welcoming atmosphere. However, ultimately the difficultly level in terms of accessibility pays off with a more significant emotional depth. Even the lyrics feel to have taken a more direct approach on the new album, the repetitive nature of the simplest of lines help them resonate and almost feel more meaningful. “How did I get here? I don’t belong here?”. Even the whispered spoken words at the end of “Close Your Eyes” where Lee Douglas comfortingly utters “It’s ok, it’s ok. It’s just a dream, go back to sleep” seem to carry tremendous weight. The Optimist is a continuation of a storyline told by Anathema 16 years ago. It builds upon many of the familiar soundscapes we are used to from the band. However, what is truly special about The Optimist is its ability to grow and absorb the listener more and more with repeated listens. I suggest you take a long drive, find a lenghty trail to hike or close your eyes in your favorite chair and let The Optimist become your favorite album of 2017.